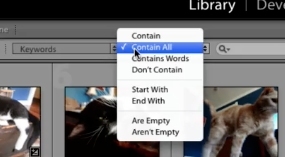 Follow this step by step guide to learn how to search in Lightroom, using keywords. To search lightroom using the keyword list you can drill down to the desired keyword, or use the “keyword filters”. Under the library module, select the text attribute for the library filter.